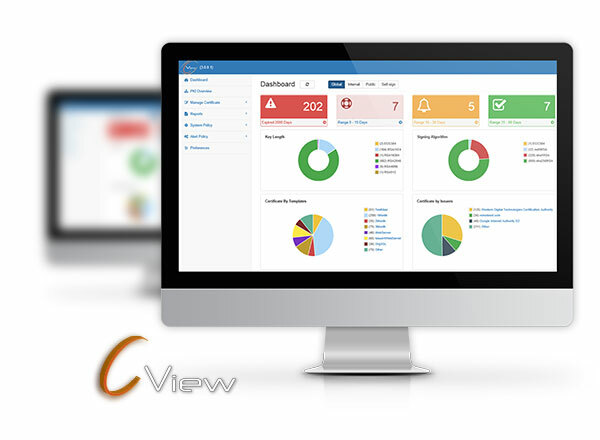 C-View Enterprise allows large organizations a centralized lifecycle management of digital certificates for an unlimited quantity , including issuance, renewal and revocation. This includes continuous monitoring of all the PKI elements, as well as automation of the certificate handling process. The main functions of C-View are to streamline the administrative work of the IT personnel, to prevent downtime in business services, and to save IT operating costs. C-View is designed to assist enterprises in minimizing the security risks associated with expired, invalid or fraudulent digital certificates. With the use of SSL certificates expanding daily, and IT departments having to manage hundreds and even thousands of certificates, conducting such an operation without a management and monitoring tool is a mission impossible. C-View Enterprise also contains agents that can be used to collect certificates from CAs installed in other forests, as well as scan certificates at remote networks.